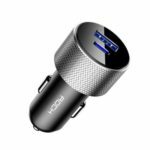 The Baseus Y-shaped car charger is designed with 3 interfaces, includes dual USB and a port for car cigarette lighter so that you can charge more than 3 devices simultaneously. With 3.4A output, it can get your devices back to life in a short time. 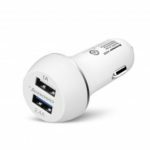 The Baseus Y-shaped car charger condenses triple-port high-speed charging into an incredibly compact power source for any phone or tablet on the road. 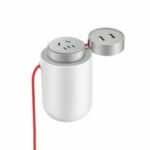 Dual USB ports, simultaneously charges two USB-enabled devices, such as cell phones or tablets. 3.4A output, get your devices back to life in a short time. 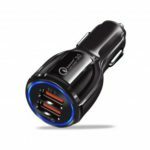 Featuring a car cigarette lighter port with 5A output on the other end, enables you to plug another car charger, provide more ports to charge more high-power equipment.